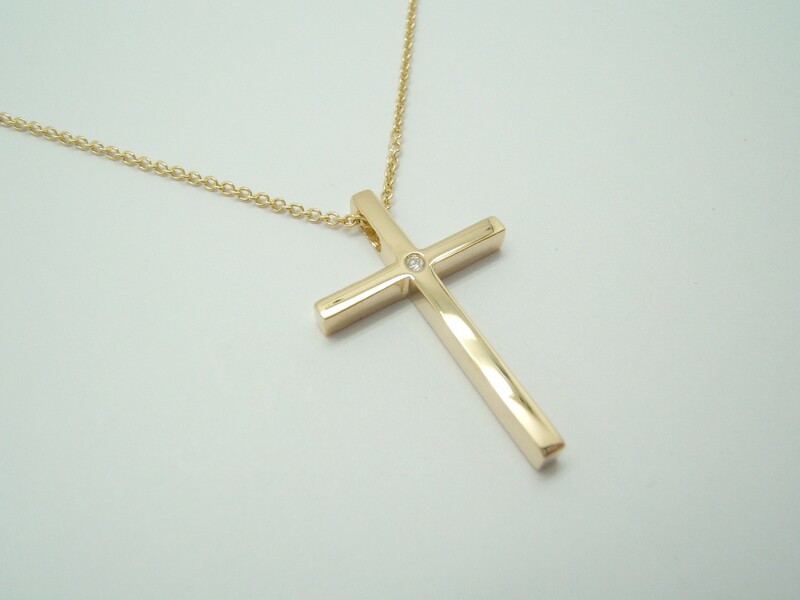 Cruz of yellow gold and chain, law of 750/000, with a bright of 0.01 carats. Measures 25mmx16mm. Weight of the chain and the cross: 5.30 grams. Length of the chain 45 cm. According to the provisions of the resolution of the United Nations, described diamond was purchased from legitimate sources not involved in funding any conflict.